The Blue Jays have almost single handedly kept the baseball hot stove burning in November. The team’s busy off season coalesced yesterday as Toronto’s blockbuster trade with the Marlins was approved, the signing of Melky Cabrera was finalized and the selection of John Gibbons as the team’s new manager (again) was revealed. The flurry of activity has Blue Jays fans and players excited about the upcoming season, but is Toronto committed to a long-term strategy or simply taking a shot in the dark? 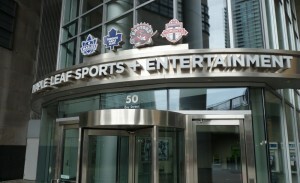 By purchasing Maple Leaf, Rogers bolstered its sports portfolio, which also includes the Blue Jays. Like the Marlins last year, the Blue Jays have emerged from relative fiscal dormancy to dominate the headlines early in the baseball off season. In the process, the team has increased its payroll from $84 million in 2012 to a current obligation of approximately $102 million owed to only 15 players. Although it may not match the 75% bump in opening day payroll realized by the Marlins last year (coming off a lower base of $58 million), by the time the smoke clears, the Blue Jays will likely rank among baseball’s biggest spenders. It’s not hard to have a cynical view of Toronto’s free spending. This time last year, the Marlins were making financial waves, and now it is their fire sale that has facilitated the Blue Jays’ extravagant off season. However, unlike in Miami, the Blue Jays have bigger fish to fry than trying to make a splash in advance of a new stadium (or, perhaps, trying to fulfill, no matter how tenuously, tacit promises made in exchange for generous public financing). Last December, Rogers Communications, which owns the Blue Jays, joined forces with BCE Inc. to purchase 75% of Maple Leaf Sports and Entertainment. As a result, the two Canadian media/telecom behemoths became majority owners of a local sports team portfolio that includes the Maple Leafs (NHL), Raptors (NBA), Toronto FC (MLS) and Marlies (AHL). The deal also brought three regional sports networks under the Rogers’ umbrella. Above all else, the billion dollar transaction represented Rogers’ commitment to a financial model in which sports teams are viewed as programming assets that can be leveraged across various telecommunications platforms. The bottom line is Rogers isn’t opening its wallet on a whim. Rather, the overhaul of the Blue Jays appears to be part of a much bigger strategy, one that isn’t likely to unravel quickly. Sports is increasingly becoming integrated with media. The rights fees paid by regional sports networks (RSN) to teams continue to rise by high single digits annually, according to some estimates, and the enterprise value of the networks themselves often exceed the team’s valuation. Importantly, this trend has not been confined to major media markets. In fact, on an apples-to-apples basis, the value of sports programming in smaller markets is often much greater because of the lack of competition in the space. Of course, that’s not to say teams like the Yankees are being put at a disadvantage. Rupert Murdoch’s News Corp. is set to become the largest stakeholder in the YES network. This morning, the Yankees agreed to a multi-billion dollar contract extension with YES, the RSN in which it owns a 34% stake. As a result, the Yankees will see the value of their rights rise from $85 million presently to approximately $350 million by the end of the contract in 2042. In addition, News Corp. is inching closer to acquiring a 49% stake in YES, which would value the network at over $3 billion. News Corp.’s shares would come primarily from a sell-down by equity partners Goldman Sachs, Providence Equity, and NJ Holdings. In addition, Yankees Global Enterprises, the team holding company, will sell a 9% stake in YES, reducing its interest to 25%. Finally, within three years, either the Yankees or News Corp. will have the right to buyout the approximately 26% remaining stake in the firm at an elevated price. 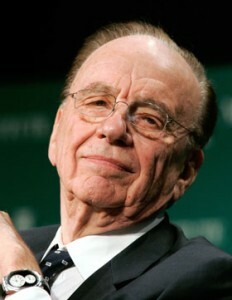 News Corp.’s aggressive push for YES isn’t out of the blue. The company, which is divesting its publishing business, has been expected to use its stockpile of cash to bolster its television assets, and sports has become the logical target. In addition to partnering with the Yankees, News Corp. is also bidding against Time Warner, among others, to pay the Los Angeles Dodgers billions of dollars for their television rights. The media giant is also expected to launch a national sports network, so increasing its partnerships with high profile teams is also likely part of the strategy. The Yankees’ intentions are not as clear. On the one hand, the Yankees’ decision to divest a portion of its stake in YES indicates a gradual cashing out by the Steinbrenner family, at least on the media side of the business, especially considering the decision to partner with a company who will likely exert significant influence over the tone of programming (i.e., replacing Yankee pride with FOX attitude?). At the same time, however, it allows the team to dramatically increase its cash flow, not only by virtue of the sale, but also the exorbitant rights fee bump that will increasingly become News Corp.’s burden (and which probably wouldn’t have been possible otherwise). Considering the exponential increase in income each year, the Steinbrenners now arguably have a greater incentive to hold onto the team, which figures to be a cash cow by virtue of the YES rights fees alone. Although clearly not a coordinated event, the Yankees’ decision to eventually cede control of YES to News Corp is a logical response to Rogers upping the ante in the division. However, Yankees fans are more accustomed to the team flexing its financial muscle on the field, not in the board in room. Will the infusion of cash from News Corp. lighten Hal Steinbrenner’s insistence on budgetary restraint? Could having a dominant media partner put even more pressure on the team to maintain an elite level product? Or, is the Steinbrenner family looking to cash in on the empire their father built, content to own the team and maintain certain standards, but unwilling to sacrifice a minimum level of profitability in pursuit of winning baseball games? This entry was posted in Yankees and tagged GEORGE WOULD NOT SELL OFF A BIG PORTION OF YES by edb23. Bookmark the permalink.